If you’ve been arrested, chances are you’re going to need someone to bail you out. 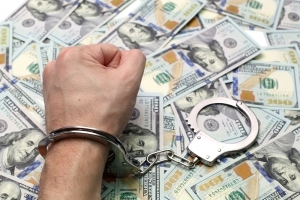 Unless you are picked up on a warrant and have cash on you to pay it, you could be spending some time in jail. Bail is a constitutional right in Arizona. Each person is entitled to have a judge determine if they’ll have bail or what their bail will be set at. Depending on the seriousness of your charges and your criminal history, you may get out of jail on bail. A judge will set bail at a certain amount. You can either pay the bail or you can go to a bail bondsman to post it for you. Bail is simply a way for the courts to secure your showing up for your court date. Once you show up for court, your bail is either returned to you or it’s applied to your fines. If a third party pays your bail, it will be returned to them. They can’t put someone else’s money toward your fines. If you will not or cannot afford your bail, you can ask family or friends. You can also ask a bail bondsman to pay it for you. They will usually do this for a fee. The fee is usually 10% of the total bail amount. This fee is not returned to you. Once you show up to court, the bail bondsman will get his money back. If you fail to show up to court, the bail is kept by the court. The bail bondsman will then go after you and your family for the money. This is why it is important that you show up for all of your court dates. Within 24 hours of being arrested, you will attend a bail hearing. This hearing is called an initial appearance. At this hearing, your judge will tell you what your charges are. He will also decide if bail is to be set. Your bail will be set according to a few factors. The judge will look to see what you were arrested for. He will look at how serious the crime is. He will also look at your criminal history. If you have a long criminal record, you may not get bail. If you have failed to show up to court in the past, bail may not be ordered. The judge will look to see what ties you have to the community. This helps him determine whether or not you’re a flight risk. Click here for information on the initial appearance in an Arizona criminal case. What is Bail Is Set Too High or Bail is Denied? If you are denied bail, or bail is set too high, you will remain in court until your trial. It is important that you have a good criminal defense lawyer. He will argue to try to get your bail reduced. He may also have a good relationship with bail bondsman who can help you get out of jail. If you’ve been arrested, it’s important that you call a criminal defense lawyer right away. He will work with the prosecutor and the judge to try to get you released. Since there is only so much you can do from behind bars, you need a strong advocate to work on your behalf. Arizona Probation Violation – What Happens?